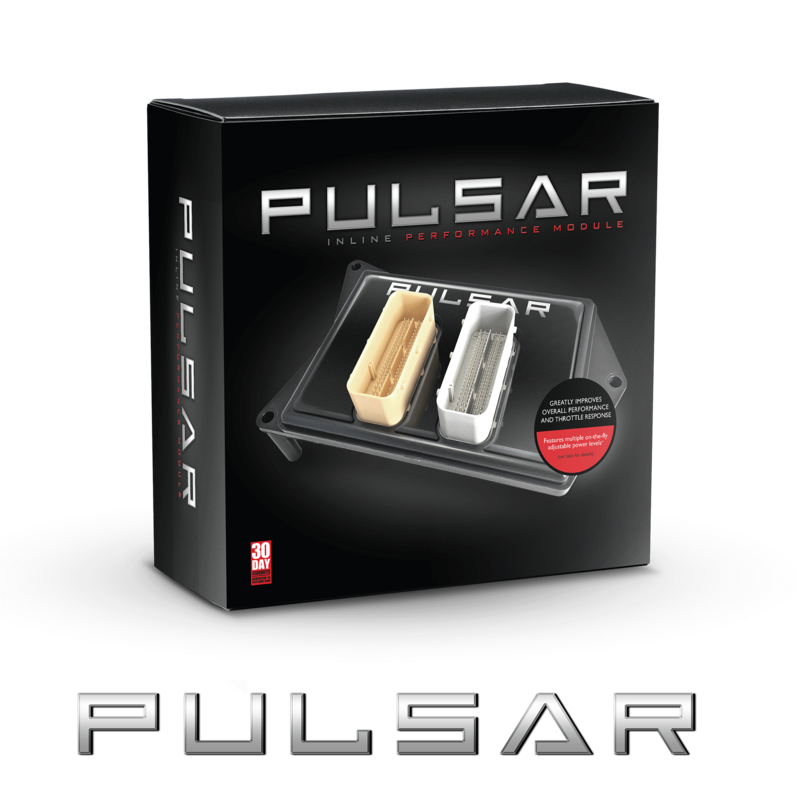 Introducing a ground-breaking product: The Pulsar. 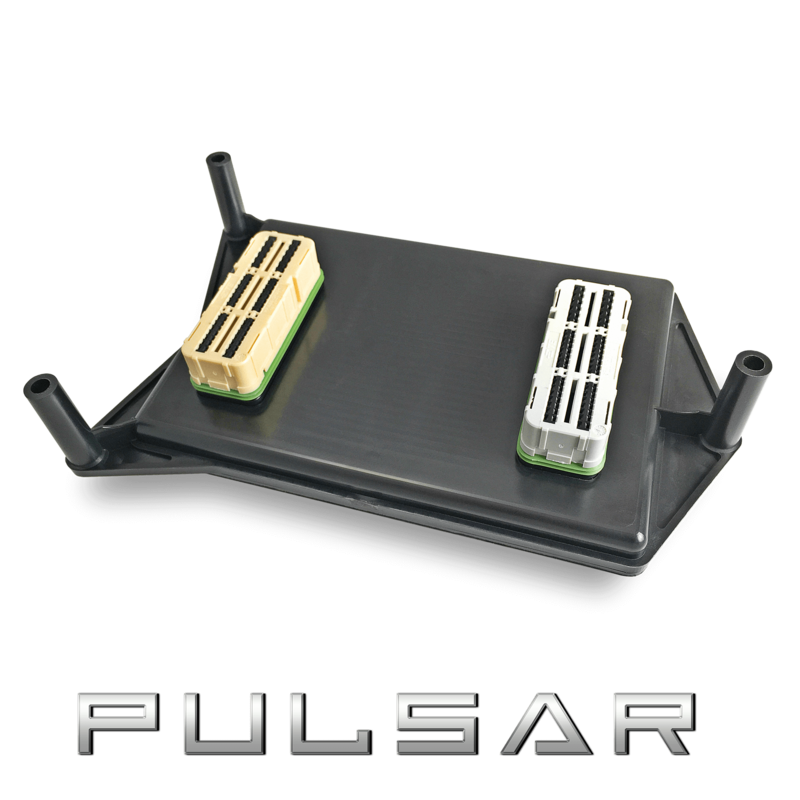 The Pulsar is an in-line computer that connects directly to the vehicle PCM, eliminating unnecessary wires in the engine compartment. By connecting directly to the trucks PCM, Pulsar has the ability to control the vehicles signals to optimize performance gains, throttle response, MDS controls, mileage, and more. To make things even better, the Pulsar offers 8 performance levels that are changed by using the vehicle cruise control + and buttons on the steering wheel. Power levels are displayed where the gear indicator shows on the dash. 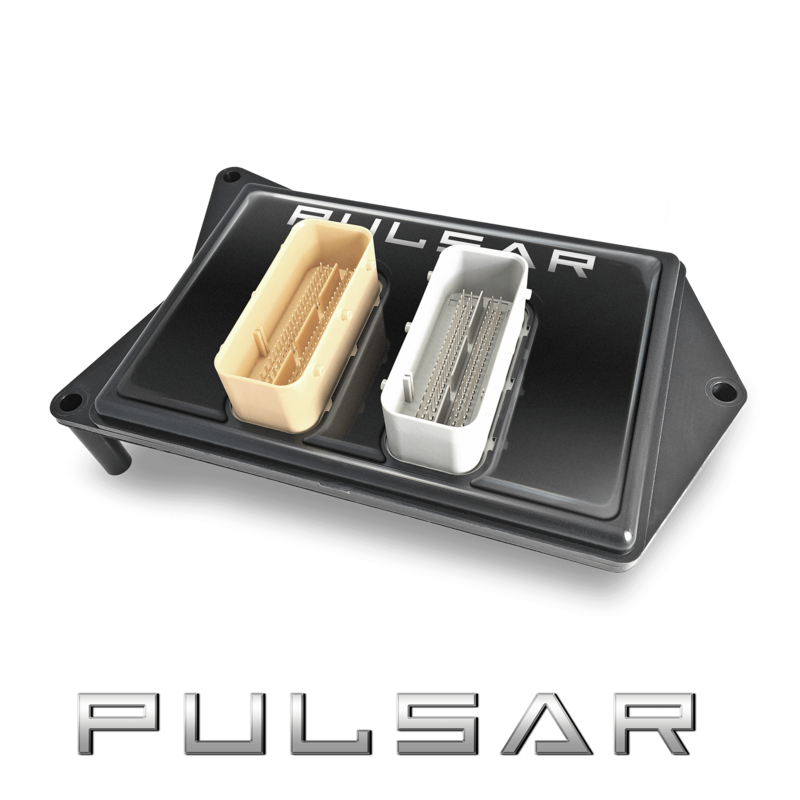 Pulsar installs in minutes and is the most exciting and innovative product on the market for 2015-2018 Ram 1500 Hemi trucks! PULSAR 2015-2018 Ram 1500 5.7L Hemi is rated 4.3 out of 5 by 34. Rated 4 out of 5 by Rattleronu from Select power on the fly I bought my Pulsar about a month ago and the power gain is very noticeable on all 8 power levels. If you have it on 8 you better hang on because the throttle response is immediate and even with the traction control on it will break the tires loose and you have to go light on the pedal or it will jerk you around . For around town driving I prefer level 5 or 6 because i still get good power gain but it is much smoother going from a full stop and going through the gears. On the open road i selected power level 3 and got 22 miles to the gallon going from Phoenix to Los Angeles. The unit is very easy to install, 10 minutes max. The only gripe i have is that it doesn't allow you to remove the speed governor of 110 miles per hour like a hand held unit allows you to. So you're going to get to 110 mph in neck breaking speed and that's it. Wish it had a speed governor disable. Other than that it works flawlessly. Rated 5 out of 5 by Jochanan from Impressed I installed my Pulsar, idled out of my garage... put it on setting 5 and gave my normal amount of gas... the tires broke loose and spun! The change in pedal response was incredible. My Hemi has been transformed from a mediocre pickup truck to a responsive stallion that's fun to drive!! I haven't noticed an increase in fuel efficiency because I've been enjoying the way my truck behaves when I give it the gas... maybe after I've had my fill of this setting i'll put it on "economy" and see what I get in the line of fuel savings, for now... I prefer the response than the economy. Rated 5 out of 5 by Eric61 from Very good Support and great product I bought one a month ago. My Rebel 2018 had problems with, I called the support and even if I am in QC,CANADA, immediately, they sent me another. two days later still have the same problems with the new one. I began to be discouraged. I call them back and they send me a third that I received the next day! Now it works very well! Congratulations for the support and the quality of the after sales service. It is an excellent new product that needs to be perfected and they do it. That's great ! Rated 5 out of 5 by Tactical47 from What a differance! After installing the Pulsar on a 2017 Ram 1500 the response to the gas pedal being pushed was vastly improved. Also being able to disable the MDS is a great feature. Installation takes about 15 mins with a 10mm socket and wrench. Rated 5 out of 5 by Kendude46 from Hemispheric I have a 2017 Ram Longhorn and have nothing but praise for the Pulsar interactive performance from idle to WOT The gains are especially amazing when I have found even better MPG even on the Performance level. Rated 1 out of 5 by TJMack20 from Disappointed First the truck: 2016 Ram 1500 w/ 4” lift and 35” tires, K&N cold air intake and MBRP cat back exhaust. This has very easy installation and I’ve had no connection or control problems. I have not dyno’d the truck so I don’t have numbers to back up my statements only my perception. After several weeks of testing, trying different octane gas and taking a 2500 mile cross country trip I’ve come to the belief that the power this product produces is illusion. I believe all this does is change the gas pedal sensitivity. I have seen no improvement in MPG in economy mode either on the highway or in town but it certainly makes the fuel pedal less responsive. Tow mode is fun, very snappy pedal response but I wouldn’t say that it seems like there is actually any more power, it just reacts faster to pressing the pedal. “Performance mode” is something else. As far as I can tell it’s completly unusable unless you are drag racing or trying to rear end someone. The pedal response is immediate 5% press of the pedal is equal to 95% in stock, but it’s uncontrollable and unusable in any normal driving situation other than a completely open dry road. All in all, based on my experience, there is no indication of this being at all more efficient than the stock tuning. I believe the are much less expensive ways to get faster response from the gas pedal. It is not worth the cost in my opinion and I regret the purchase. Can I adjust speedometer due to tire size with it? Will it work in a 2019 Ram Rebel? You should adjust gear ratio if you truly and physically swap out the gears. Otherwise, keep it as is. 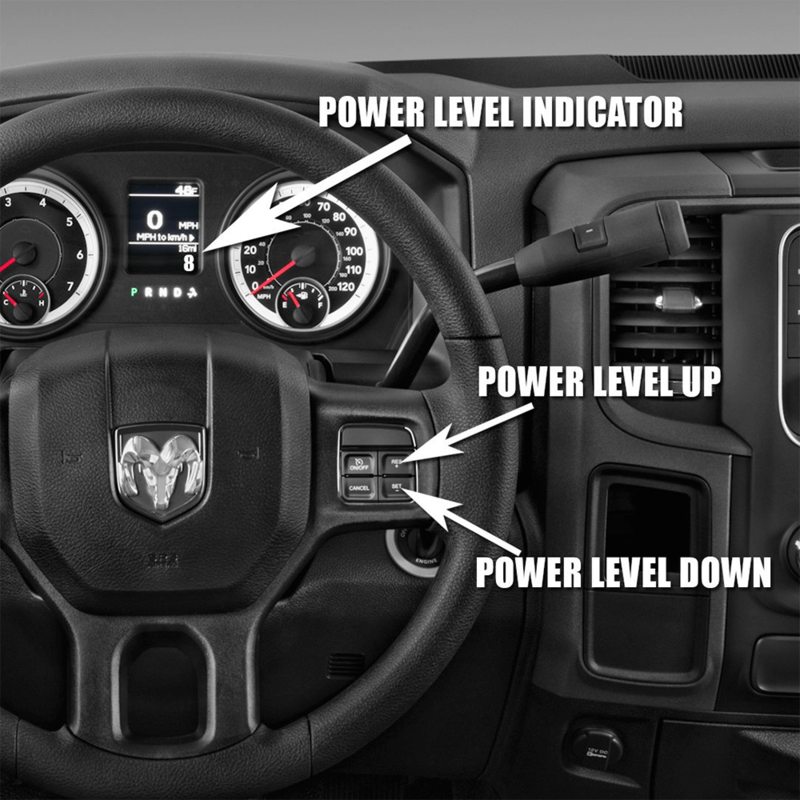 Power level 8 will give you the maximum performance and throttle response available. Other than throttle response, what is this changing? Shift points, trans psi, timing, etc.? Confirm that the controller will allow me to change tire size...how does that work?